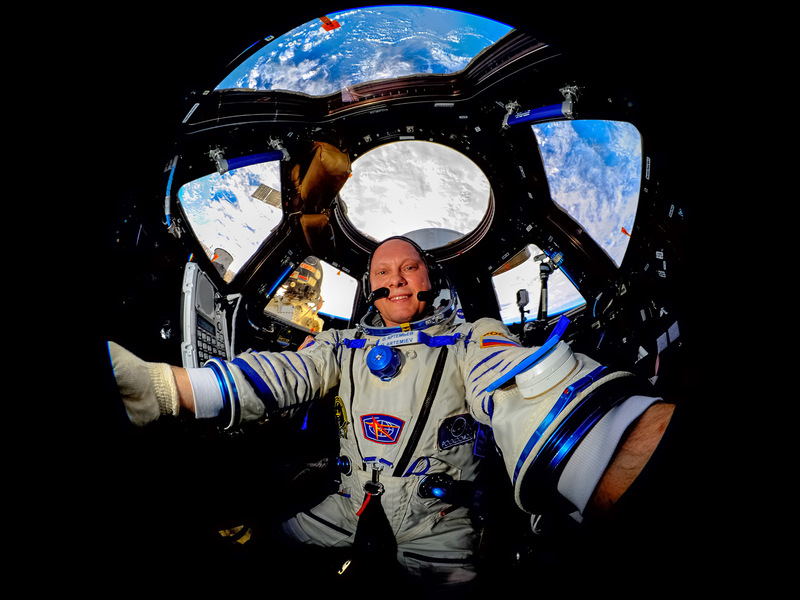 Oleg Artemyev is a Russian Test Cosmonaut with one prior long-duration mission to the International Space Station, spending 169 days in space as part of Expeditions 39 and 40. 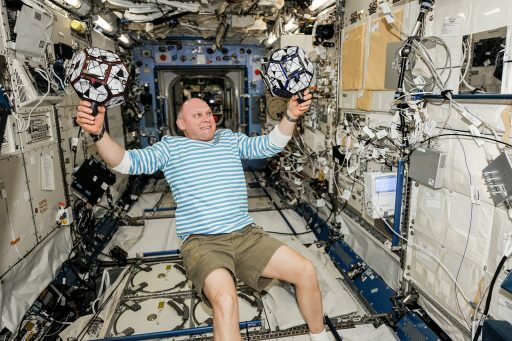 He is set to return to the orbiting laboratory in 2018 for a second long-duration stint, serving as the Commander of the Soyuz MS-08 spacecraft and a Flight Engineer for ISS Expedition 55/56. Born December 28, 1970 in Riga, Latvian SSR, Oleg Artemyev attended Secondary School No 211, Leninsk in the Kazakh SSR until 1986 before starting at Tallin Polytechnical School. He graduated from polytechnical school in 1990 with a specialty in Electrical Equipment for Industrial Enterprises and Plants. In 1998, he graduated from N.E.Bauman MSTS with a degree in Low Temperature Technology and Physics. In 1998 Oleg Artemyev started working at RSC Energia developing testing procedures for EVA equipment in neutral buoyancy at the hydrodynamics laboratory to qualify hardware for space flight. 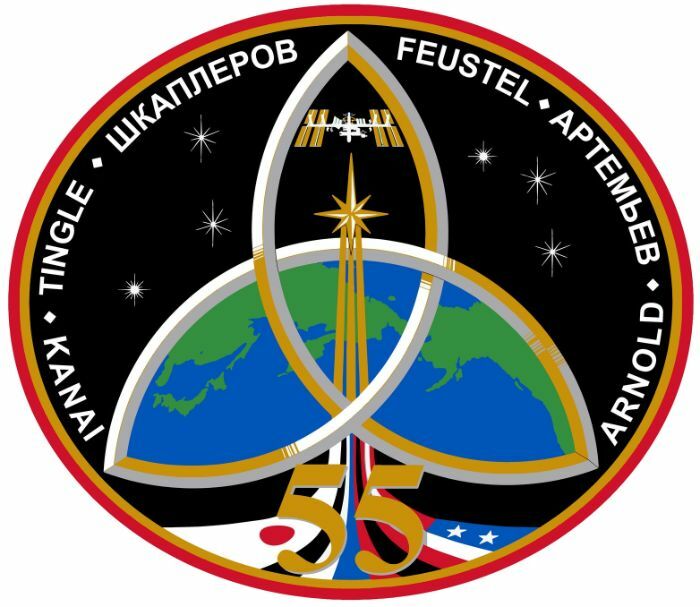 Also, Artemyev was part of the pre-launch processing team of the Russian Zvezda Service Module working on the EVA and teleoperation control system. Part of his duties was EVA training with cosmonauts, the planning and execution of spacewalks at the Russian Mission Control Center. He also participated in emergency training for Soyuz water landings. In 2000, Artemyev received medical clearance to begin special training related to space flight operation. Oleg Artemyev was selected as Cosmonaut Candidate in May 2003 and he began two years of basic training at the Gagarin Cosmonaut Training Center in June. He passed his training with excellent grades and received the qualification of a Cosmonaut Researcher. In the following years, Artemyev continued operations within the Russian Space Sector and also entered Soyuz and ISS specific training. In 2006, he and Mike Barrat and Sandy Magnus completed survival training as part of Soyuz training procedures. Together with Yuri Lonchakov and Oleg Skripochka, Artemyev completed emergency water training in the Ukraine in June 2006 followed by another session of survival training in January 2007 with Charles Simony and Sergei Revin. In November 2007, Oleg Artemyev was part of the first Stage of the Mars-500 experiment. Mars 500 was a psychosocial isolation experiment completed between 2007 and 2011 by Russia, the European Space Agency and China. The experiment facility located at IMBP, Moscow, was used to isolate a crew of six volunteers to study the psychosocial aspects of an interplanetary space flight. The mock-up facility included a simulated Earth-Mars shuttle spacecraft, the ascent-descent craft, and the Martian surface. The first crew lived aboard the complex for 15 days to test the technical systems and equipment aboard to prepare for longer experiments. Stage 2 was 105-days in duration as a precursor to the 520-day isolation experiment that followed. 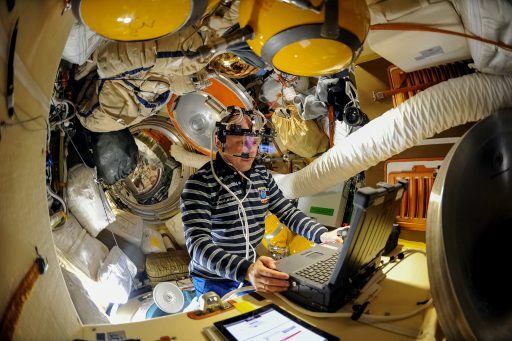 In 2008, Artemyev was part of a testing campaign of the Orlan-MK space suit before participating in a 14-day technical experiment related to the Mars-500 project leading up the 105-day Stage 2 experiment that ran from March to July 2009 in which Artemyev was isolated with an international crew of six. In 2010 and 2011, Oleg Artemyev worked at the Baikonur Cosmodrome as part of the Soyuz Processing Team. He was the descent module operator for the Soyuz TMA-01M mission in 2010 which was the first flight of the TMA-M series of spacecraft that are equipped with new flight control systems and computer equipment. He also processed the Soyuz TMA-21 spacecraft that launched in 2011. 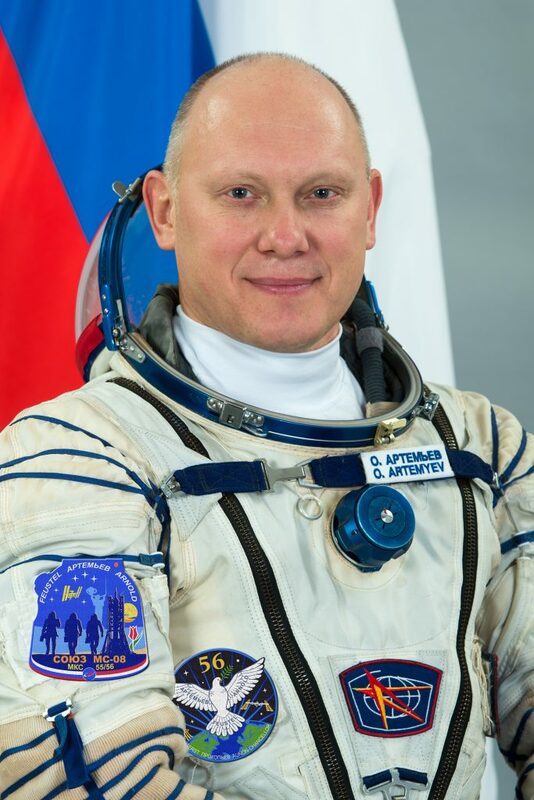 Oleg Artemyev was certified as a Test Cosmonaut under RSC Energia’s Cosmonaut detachment and assigned to the crew of ISS Expedition 39/40 in July 2012, entering flight-specific training for the mission. Together with Aleksandr Skvortsov and NASA’s Steve Swanson, Artemyev completed final flight simulation exams in September 2013 as part of their backup assigned for ISS Expedition 37/38, standing by at the launch of Soyuz TMA-10M on September 26, 2013 before transitioning to their prime crew role. Soyuz TMA-12M with Commander Skvortsov, Flight Engineer 1 Artemyev and Flight Engineer 2 Swanson lifted off from the Baikonur Cosmodrome on March 25, 2014 and was on track for a six-hour express rendezvous until the control system of the Soyuz malfunctioned before an orbit correction maneuver on the craft’s second orbit. 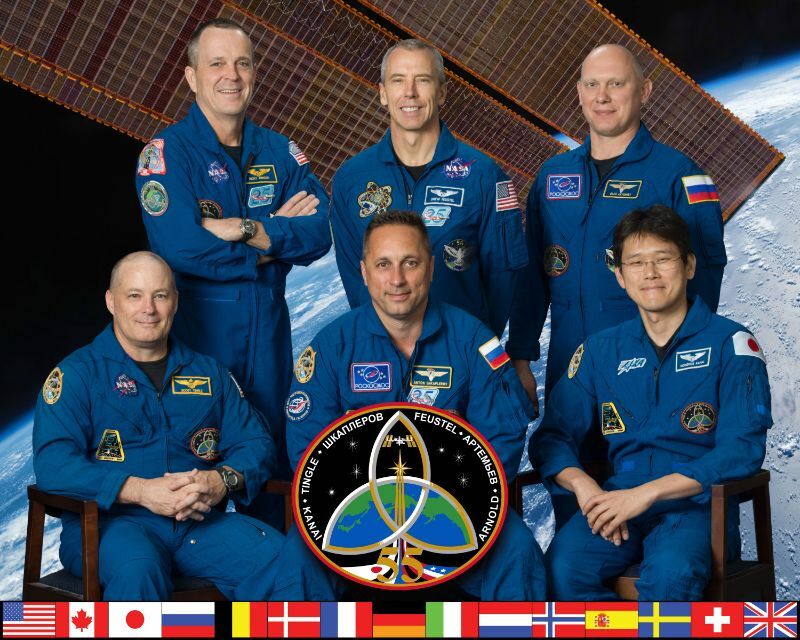 As a result, the trio had to revert to the longer 34-orbit rendezvous, spending two nights aboard the Soyuz before joining the ISS Expedition 39 crew of Koichi Wakata, Rick Mastracchio and Mikhail Tyurin. Expedition 39 was a largely science-oriented increment, supporting over 200 active experiments on the two segments of the Space Station, also overseeing a Progress rotation between the M-22M and M-23M vehicles, the arrival of the third operational Dragon spacecraft and an undocking/re-docking maneuver by Progress M-21M for testing of upgraded navigation software. The Expedition ended with the departure of Soyuz TMA-11M on May 13 and Artemyev, Skvortsov and Swanson had ISS to themselves for just over two weeks until their Expedition 40 colleagues Maksim Suraev, Reid Wiseman and Alexander Gerst arrived. Expedition 40 was also largely dedicated to science, but saw a number of visiting vehicle activity in the form of the departure of Dragon CRS-3 and Progress M-21M, the arrival of the second operational Cygnus cargo vehicle, the rotation between Progress M-23M and M-24M, and the arrival of the final Automated Transfer Vehicle. 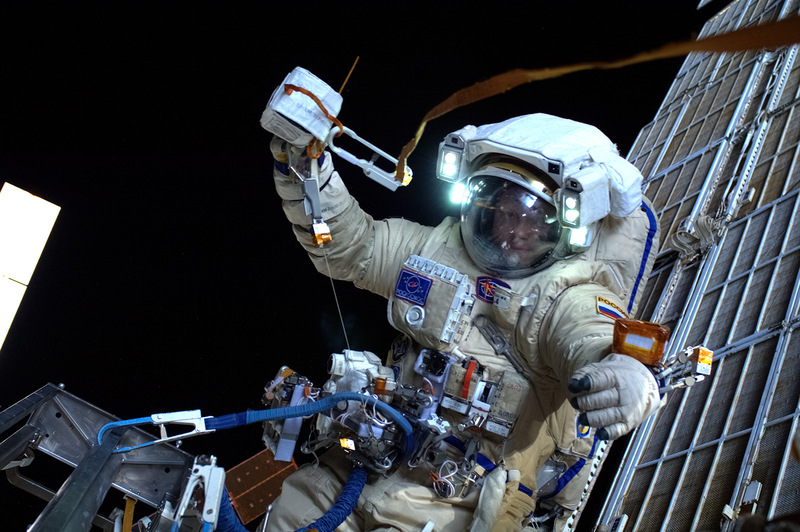 Oleg Artemyev and Aleksandr Skvortsov support a pair of EVAs in June and August to install an Automatic Phased Array Antenna and put in place the EXPOSE-R space exposure experiment package, accumulating an EVA time of 12 hours and 34 minutes. Soyuz TMA-12M returned to Earth on September 11, 2014 in textbook fashion after a mission of 169 days, five hours and six minutes. Returning to Terra Firma, Artemyev went through the typical post-flight rehabilitation and scientific experiments. His immediate post-landing activities included a centrifuge run to simulate a Mars landing followed by a surface spacewalk simulation to assess whether humans could support the rigors of landing and working on Mars after a half-year transit through space. 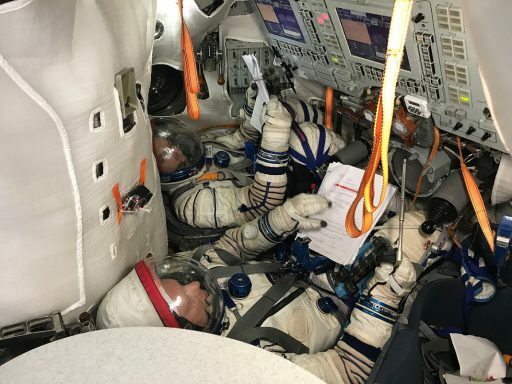 Oleg Artemyev received the honorary title of ‘Hero of the Russian Federation’ in February 2016 and he did not have to wait long for his second flight assignment – upgrading to the commander’s position for Soyuz MS-08 and another half-year Expedition to the International Space Station in 2018.